The King's Student Union has a student health and dental plan for its students. Learn more on the KSU website. You must bring your DalCard AND documented proof that you have equivalent health care coverage to the DSU Health Plan office to opt out. Proof must be presented in letter format and in English—insurance cards are not sufficient. Every Dalhousie student must have health insurance coverage ("coverage" refers to all of the things that your health plan includes/covers). 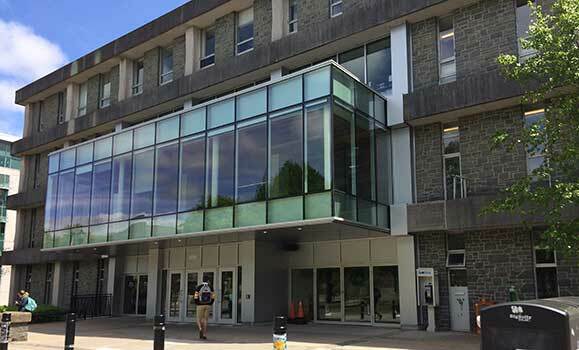 Most new Dalhousie students are automatically enrolled into one of both health plans. Dal's two student health plans—what's the difference? 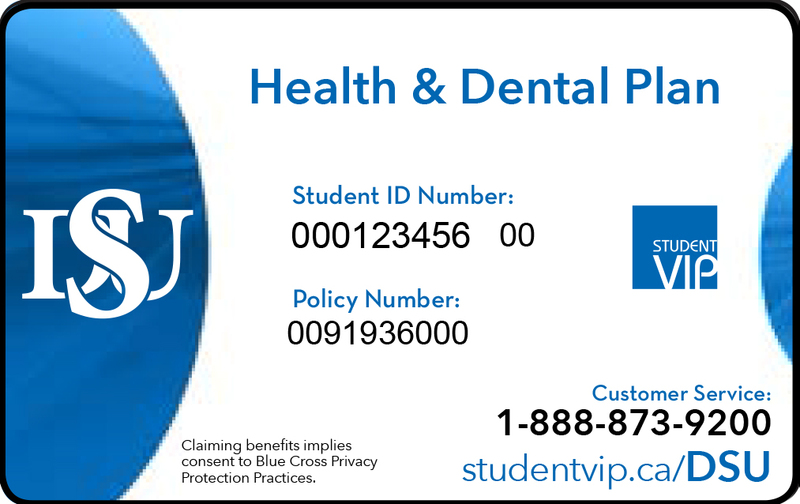 The Dalhousie Student Union (DSU) Health and Dental Plan is a student-oriented benefits plan that covers prescriptions, dental, travel, accident, vision, and many other services. The DSU International Health Plan is for international students who don't have MSI coverage (Provincial Health Insurance). It covers general doctor visits, and emergency medical services. Before seeking medical care students must contact Intrepid at 1 855 591 2285​ to confirm coverage. If you are a full-time student beginning classes in September you are automatically enrolled in the DSU Health & Dental Plan and the cost of the plan is included in your student fees. All full-time international and exchange students starting their studies at Dalhousie in September are automatically billed and enrolled into two health plans: the DSU International Student Health Plan and the DSU Health & Dental Plan. If you are beginning classes in January or May, you must opt in to the DSU Health & Dental Plan. All full-time international and exchange students starting their studies at Dalhousie in January are automatically billed and enrolled into the DSU International Student Health Plan, but must opt in to the DSU Health & Dental Plan. If you are on co-op or exchange you must opt in to the plan. You do not have automatic coverage and are not eligible to enroll on the DSU International Health Plan but may be eligible to enrol for the DSU International Short-Term Plan. Students participating in short-term programs (i.e. ESL programs) or visiting scholars may be eligible to enroll in this short-term plan to cover you for emergency medical situations while visiting Canada. Participants in this plan will have coverage similar to that of the Provincial Health Care Plan in Nova Scotia (MSI) for which they are not yet eligible. This means coverage for doctors visits, medical emergencies, and many other medically necessary situations that may occur. Students may opt in manually by completing the form found in the DSU Health Plan Office or may opt in online by visiting www.internationalhealth.ca/dsu and completing the online opt-in form. If you taking only distance courses you must opt in to the plan. Effective September 1, 2003, all patients covered by Quebec Provincial Health Care will be required to pay for their office visit (and any additional service fees) at the time of their appointment. The cost of a regular office visit is currently $35. Additional charges for additional or uninsured services will vary, but will be based on the amount currently paid by MSI (Nova Scotia provincial health coverage). All patients will be issued a receipt which they can personally submit to the Regie de Quebec for reimbursement. Dalhousie Health Service accepts DalCard, cash, debit, Visa, and Mastercard. No personal cheques. We regret any inconvenience this may cause our Quebec patients. However, as the province of Quebec does not have a reciprocal billing policy similar to all other provinces and territories, it is necessary to implement this policy. If you are a dual citizen, and hold a Canadian passport, you may not be automatically enrolled under the DSU International Health Plan if you have applied to Dalhousie as a Canadian citizen. In addition, you may not be eligible for Nova Scotia provincial health care (MSI) until you fulfill specific requirements. To confirm your health insurance status, please contact the DSU Health Plan Office as soon as possible. Dalhousie expects students to provide their own international health insurance for their period of study or work abroad. Check to see if you have extra health insurance through your parents, spouse, or another private plan. Talk with your insurance representative to find out exactly how this policy covers your stay outside Canada, and confirm that the policy is valid for the entire visit abroad. If you already have equivalent coverage and want to opt-out, or if you do not have coverage and you want to opt-in, visit the DSU Health & Dental Plan and/or DSU International Health Plan websites for details. All students who are covered under the DSU Health Plan should visit the DSU Health Plan website and click on “Plan Card”. You will then enter the 6 digits following their B00, and press "Submit". A card will be generated automatically which you can save to their electronic device or print off. All students who are covered under the International Student Health Plan should visit the International Student Health Plan website and click “Card Pick Up Form”. Here, you will complete and submit the online Card Pick Up Form. Once this form is submited, you will receive your plan card electronically. Please note that it takes approximately 5-7 business days for this request to be processed.